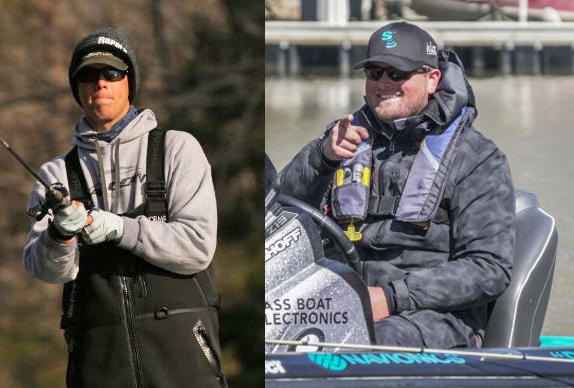 When it comes to my continuing journey to become a professional tournament angler, I have seen many milestones. I have also seen a few setbacks. Moving to California several years ago could be considered a setback, when strictly referring to my growth as a competitor. It was a choice I made in order to be close to my now-wife, Katie, while she was going through her dental hygienist program. If I could turn back time, I would do it all over again because it was a necessary sacrifice I needed to make for my wife and our marriage, so I have no regrets. However, we're now facing a new chapter in our lives, and I'm once again experiencing another vital milestone that will change the trajectory of my fishing career. Katie and I knew that once she graduated we would move back to the South for logistical reasons: I'd be in a place where could fish regularly and be close to all the tournaments I needed to compete in. At first we had settled on the idea of moving back to central Florida, where I began my journey as a traveling angler, but due to certain new regulations that restricted Katie�s immediate practice as a dental hygienist, we had to look elsewhere. Looking farther north, the Chattanooga area of Tennessee immediately stuck out to us due to the proximity of Lake Chickamauga, the growing local economy and the promise of changing seasons. Did I mention Lake Chickamauga? Technically we live in Hixson, which is a suburb of Chattanooga on the west side of the Tennessee River, but we couldn�t be more happy with the proximity to so many activities and shopping. For me, I couldn�t be happier with the location, which puts me within a few miles of Chickamauga. 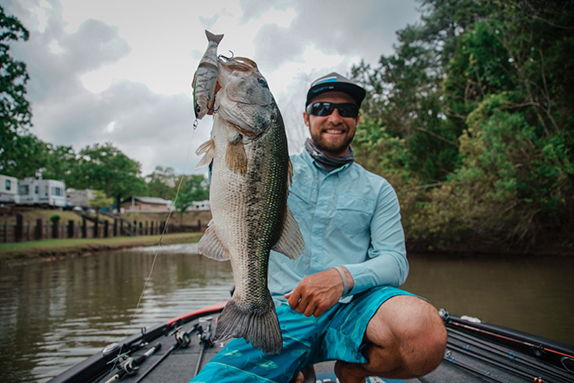 Since my move from Guntersville to Santa Cruz I haven�t had access to a lake that I could fish on a regular basis, which is so essential for keeping up with social media content demands and just overall keeping your skills and confidence at a high level. Now that we've made the strategic move to the shores of Chickamauga, I find myself on the water on a regular basis once again, and I'm able to finally fulfill my sponsorship obligations, which all gets me pumped up. Another benefit of being close to Chickamauga is that I can once again build my guide business on a world-class bass fishery. I look forward to booking trips on a lake that has such a great population of aggressive Florida-strain largemouth. 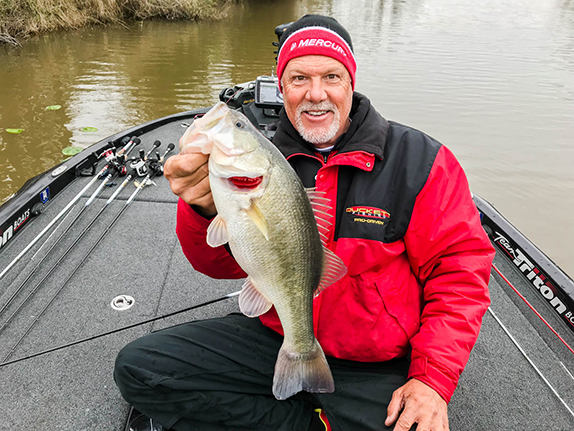 Finally, I look forward to getting another perspective on fishing the Tennessee River, as �Chick� holds many similarities to my former home lake, Guntersville, but also is different in many ways, which will help me stay well-rounded in terms of my TVA prowess. As I said before, my time in California was overall very important for my life in general. Katie and I were able to fortify our lives together as a newly married couple, I was able to reconnect with my best childhood friends, and I was also able to live close to my mother in Northern California. Now, though it will take some adjustment for Katie, who is a Cali-girl born and raised, to get used to her new surroundings in Tennessee, we are both very excited and hopeful about a new chapter in both our family and career lives.